Type your team’s name into the blue box and re-save the document. Now you have your own personal campaign poster! Upload this image to your Facebook account and update your cover photo. Don’t forget to share your team page as well! 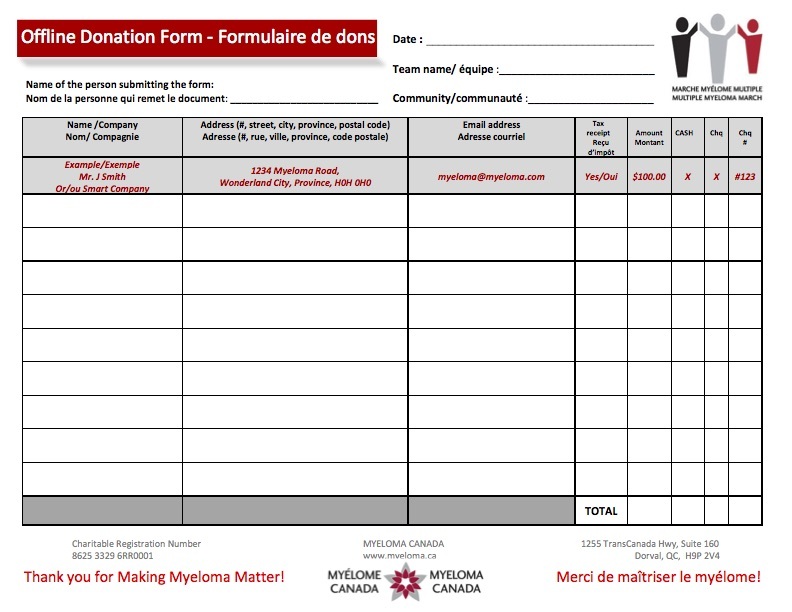 Download the offline donation form to track all cash or cheque donations. 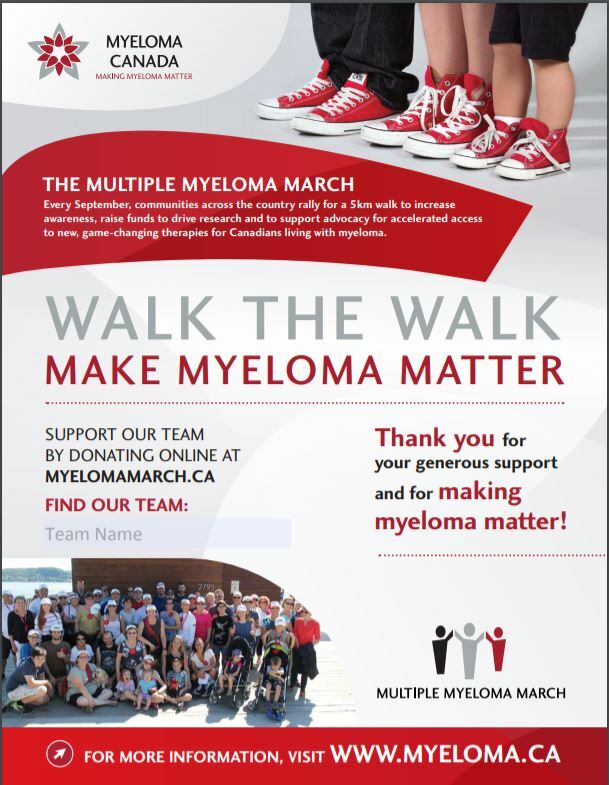 Send in your form and donations to Myeloma Canada prior to the March (your fundraising metre will increase faster) or bring your form with you the day of the event.